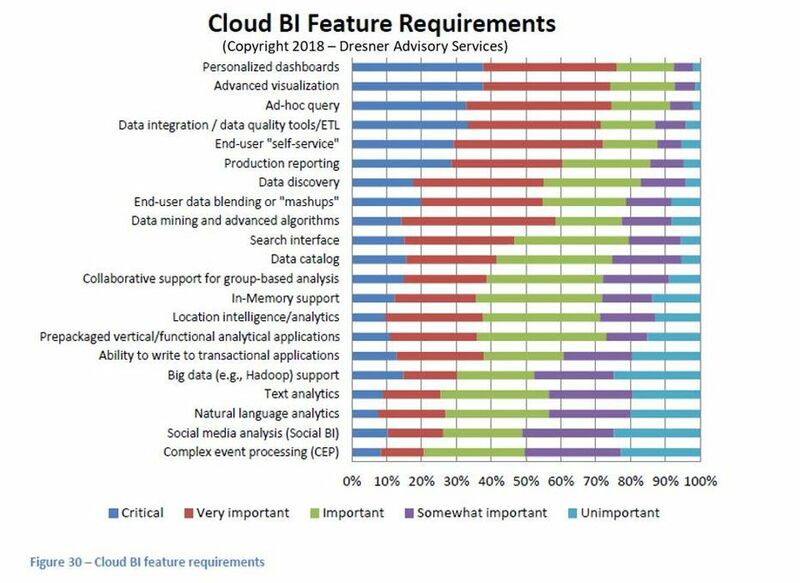 As reported by Forbes in 2017, 57 percent of organizations cited ad-hoc analysis and exploration as a top feature in cloud BI adoption. This trend has continued, as Forbes noted in The State of Cloud Business Intelligence, 2018. Once again, ad hoc reporting software capabilities topped the list of necessary requirements for business intelligence solutions. What is an Ad-Hoc Report? Ad-hoc reporting refers to single reports that are easily generated by a user to answer a particular question in a way that’s not broad or comprehensive. For reference, the definition of ad-hoc is “formed, arranged, or done for a particular purpose only;” the term is Latin for “as the occasion requires”. In a sense, ad-hoc reporting involves customized, small-target, single-use reports. For contrast, think of the regularly scheduled production reports or other business records that contain large volumes of data and cover an entire business activity. In the 2018 Forbes business intelligence report, the manufacturing industry specifically was mentioned as a major adopter of ad-hoc queries, although the feature was a top need among all surveyed industries. In addition to manufacturing, this included financial services and insurance, business services, retail and wholesale, education, technology, and healthcare. Why do Businesses Need Ad-Hoc Reporting? Business leaders may use ad-hoc reports for a number of reasons. Suppose, for example, that someone who is looking at sales wants to see specific numbers for a certain local neighborhood. Maybe a national report has already been run but the numbers are hidden deep within it. Or, this regularly scheduled report isn’t detailed enough. In this case, the person runs a particular ad-hoc report asking for just that small, detailed set of data. Companies may use ad hoc reporting to avoid some of the learning curves involved in the use of broader reports. Or, they may use ad-hoc reporting to get actionable insight on specific questions around sales, production, supply chains or anything else they can’t get from generic reports. Business leaders don’t always have time to wait for regularly scheduled reports or dig through them looking for one particular thing. That’s part of the role ad-hoc reporting tools now play – they allow end users to create detailed reports quicker, get intelligence in a more straightforward way and act outside of a generated report schedule. By default, ad-hoc reports are very specified. Exploration features provided by adhoc reporting tools allow users to glean even more focused information from data. Filters and OLAP functionality such as drilling bring requested data to the forefront. Once a report is created, sharing it with stakeholders is essential. Reporting systems facilitate sharing with the ability to export reports into PDFs, HTML, Microsoft Office files and more. Then, reports can be easily distributed via email or web platforms. These types of ad hoc reports are, as stated, made for a specific objective. Often, reports are used as a snapshot of the current state of the business, and generally through a specific lens. This may be a view of sales, employee performance, marketing reach or other measures. With this data organized into an easy-to-read, shareable format, all employees will have the resources and knowledge necessary for assisting with special projects. The accessibility of ad-hoc reports makes data analysis a team effort. The need to rely on the IT department for business intelligence action is minimized, as ease of use is the focus of many reporting systems. Drag-and-drop creation and libraries of visuals aid in report building, while filtering functions simplify data exploration. Data-based decision making becomes more collaborative through the use of ad-hoc reports that can be created and shared by anyone. Domo’s reporting system offers ad-hoc reporting capabilities. 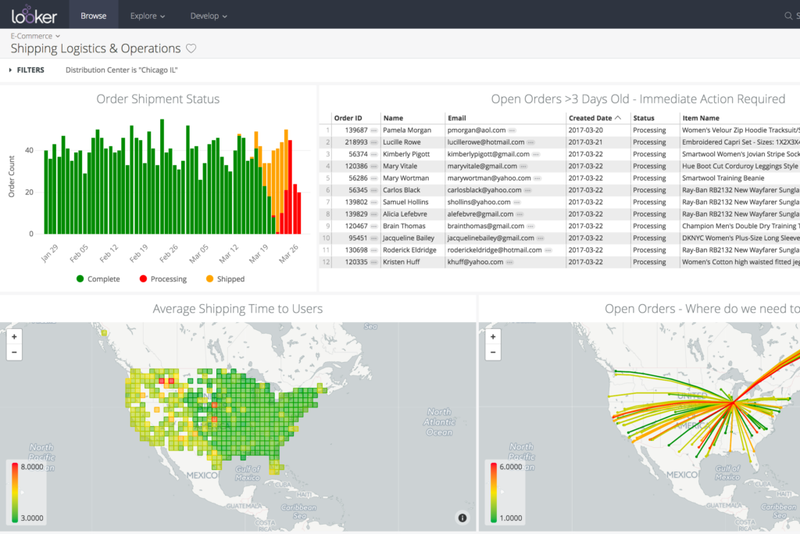 Within the general platform of business dashboards, Domo helps pull particular results out of a sea of data. The software has the ability to connect with a number of data sources — not only typical databases, but also spreadsheets and other documents, social media, and third-party platforms used by your business. Simultaneously, the system also helps business leaders, marketers and others see the big picture. Content templates and the Domo Dev Studio custom visualization platform help users compile this information into specified, visually appealing ad-hoc reports. A sales report created using Domo. JReport’s ad-hoc reporting tools help users build new reports and modify existing reports without a lot of technical know-how. Using a guiding wizard and an intuitive interface, JReport allows end users to carefully put together queries for their needed data results. The report building features are equally intuitive and include capabilities such as drag-and-drop creation and visualization templates. The JReport templates and customization options offer over 40 different varieties of graphs, maps and other report elements. Overall, the ease of use and interactivity of JReport is the system’s stand-out capability. A KPI dashboard from JReport. Tableau Desktop offers ad-hoc scenario analysis to help companies understand risk and reward. The software makes this kind of business analysis simple with its streamlined platform. Tableau prides itself on being a simple-to-use-and-learn tool. It advertises straightforward, readable visual analysis. Report building features require no knowledge of coding, so any user can create reports with little to no training. The geographic data mapping features of Tableau Desktop differentiate the software from its competitors. Additionally, the scalability and speed of the platform provide support for an in-depth data analysis engine, complete with mobile capabilities. Tableau provides webinars to help end users understand how these systems work. The webinars include information on how to aggregate an ad-hoc report from different data sources, how to read these kinds of reports and how to integrate them with a broader strategy. Microsoft’s Power BI also provides ad-hoc computing functionality with its SQL Server Reporting Services. Through a diverse set of reporting tools, businesses can glean the data they need. This reporting tool benefits from the connectivity of Microsoft platforms — reports can be embedded and exported into a number of outside applications. Reports published via SharePoint host built-in notifications that alert users to any fluctuations in the data. Microsoft offers community forums and other resources to help educate users on ad hoc reporting with this top-branded platform. Looker’s cloud-based data platform reporting software extracts information from user databases to build personalized reports. Looker-exclusive features that set the system apart from competitors include LookML and Looker Blocks. LookML is a SQL-based data modeling language that can be used as a tool for creating models and extracting, transforming and loading (ETL) data. Looker Blocks are the program’s code blocks which include pre-constructed visualizations and SQL patterns. With these functions, users can customize their data to fit their ad-hoc reporting objectives. A Looker shipping logistics report. Sisense hosts a user-friendly ad-hoc reporting tool which has a simplified, interactive interface. Code-free reporting tools avoid the need for IT involvement, allowing all users to create ad-hoc reports with ease. Once created, these reports can be shared via the web, as well as exported into multiple formats, to share around organizations. Whoever has access to reports can benefit from the software’s real-time data updates and quick feedback. The Dundas BI reporting system includes easy-to-use features, such as drag-and-drop capabilities, to aid in the creation of expressive visualizations coupled with advanced analytics. Compatibility with OLAP cubes; relational database management systems (RDBMS); and Big Data, R and Python give users an extensive offering of data analysis capabilities. In Dundas reports, analysts can perform forecasting, ranking, clustering and correlating to organize data for optimal presentation. A Dundas BI call center dashboard. QlikView’s ad-hoc report building platform is coupled with the software’s guided analytics capabilities, which lead users to insight discovery and simplified data expression. The software offers a unique blend of this guidance with customization options, giving users a completely individualized experience. This lines up with the goals of ad hoc reporting, as QlikView allows users to tailor their reports according to their specific needs. MicroStrategy Report Services pulls data from a number of sources to provide the most comprehensive view of information possible. Hadoop connectors, SAP HANA data and data from third-party systems such as a CRM like Salesforce offer options for report building. The availability of data source choices allows users to access the information that best serves the purpose of their ad-hoc report, aligning with the desired specificity of such reports. Reporting is an essential function for any business with a need to share data findings around their organization. Ad-hoc reporting specifically provides the added benefit of detailed, focused views. This capability streamlines data exploration. The accessibility of most ad hoc reporting tools and the results they produce is another benefit of the software. In the modern fast-paced business environment, ad-hoc reporting is a necessary component for quick analysis without risking accuracy.